Friday-Sunday, June 14-16 As you consider your retirement years and grasp the reality of growing older, this retreat will explore the benefits, joys, challenges, and concerns ahead. Thursday-Sunday, April 25-28 When the Divine breaks through into our everyday lives, it's the beginning of a deeper journey. Now we look and listen with a new and growing sense of all that's beautiful and all that's possible. Saturday, May 4 This morning of reflection—on and in nature—features bird-watching and reflections on eco-spirituality. 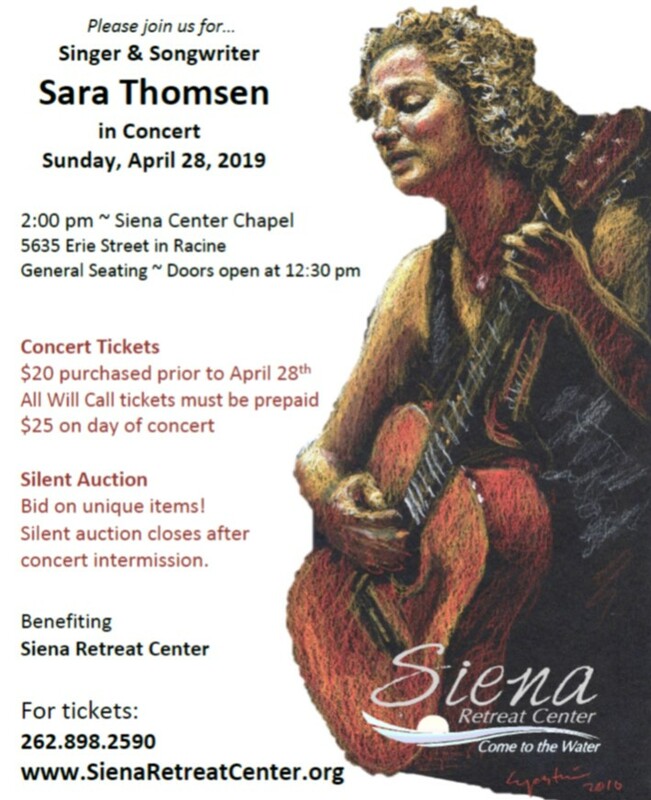 Be inspired by singer and songwriter Sara Thomsen live in concert at Siena on Sunday, April 28, 2019!